You can find us at booth D1 (near the entrance to the main hall). The exhibition is held at the Sheraton convention centre next to Frankfurt airport. It all begins on Wednesday, April 25th and ends on Friday, April 27th. After you have seen our MDA in action you can place a pre-order. To begin with we will only produce a small number of MDA’s, so to ensure you are one of the first to be able to use our drawing arm, you can place your order when visiting us in Frankfurt or via the Thinkable website. The motorised drawing arm (MDA) will cost €1995 / $2500, but early birds can place an order for only €1500. This offer lasts until August 1st. Two MDAs pre-ordered; are you next? 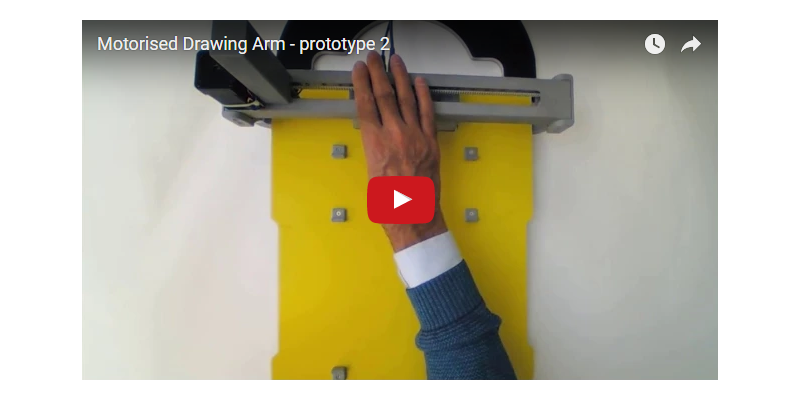 The moment has finally come: after a busy development period, we are proud to announce that the Motorised Drawing Arm (MDA) is now available for pre-order! For us, it has been a very inspiring period since we first showed you this product idea. The MDA has certainly attracted a lot of attention so far! 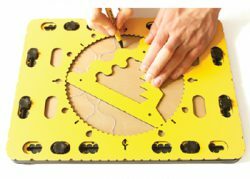 The outcome of the development is a unique product to create tactile diagrams in a brand new way. 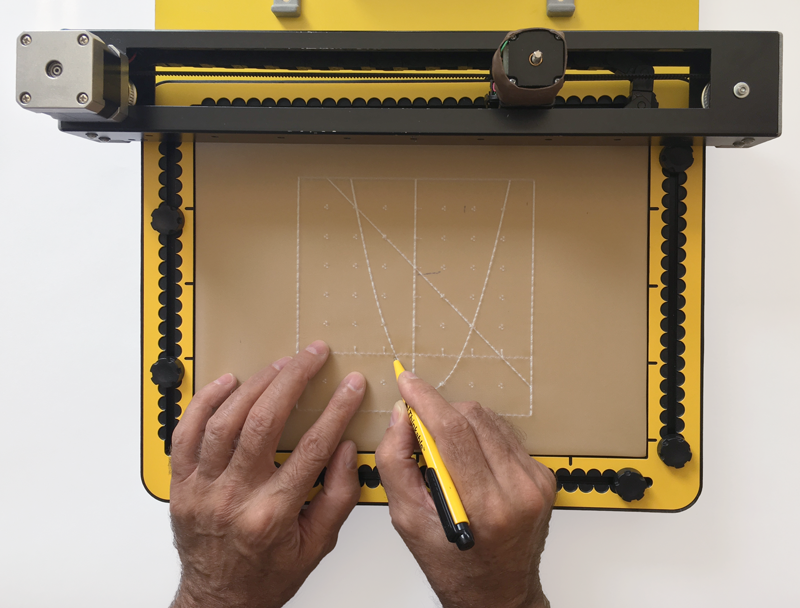 In short, a design from the TactileView sofware is sketched on the TactiPad drawing board by a motorised stylus, creating a reased line drawing. By combining accurate digital tactile graphics with the ability to expand these by hand, the MDA opens up a wide range of new interactive applications for students, teachers and professionals. Designs can be quickly reproduced for multiple users, for example several students in a classroom. On our restyled Thinkable website, you can find all details about the use of the MDA or the different applications we have in mind. The MDA can also be extended with the Smart Module. Instead of connecting the MDA with USB to your computer, this Smart Module will enable you to wirelessly sketch a design on the MDA. You can even operate the sketching process via the browser on your smart phone or tablet! 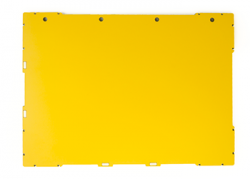 We are currently preparing to first production run for the MDA, with an expected delivery date of June 30th 2018. You are invited to place your pre-order to be one of the very first people to start using the MDA. Better still, all pre-orders will receive the MDA Smart Module for free! If instead you are interested in ordering the MDA at a later stage, we would also be very grateful if you could already let us know that you are interested. You can simply use our order page to notify us. – April 25th to 27th at the SightCity exhibition in Frankfurt, Germany. 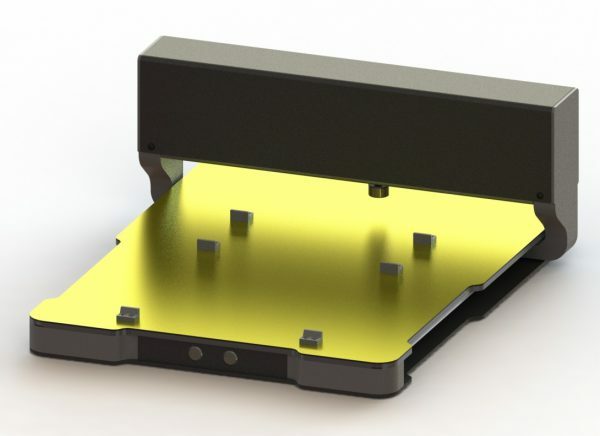 Our open, transparent prototype will allow you to see all the inner workings behind the MDA’s drawing mechanism up close, while a computer generated render will show you the looks of the production model. Recently, we were contacted by Emily Schlenker, a blind pre-medical student at Wichita State University. She was born without sight, but that hasn’t slowed down her fascination with organic chemistry. For us at Thinkable, it’s stories like hers that drive our passion for tactile graphics. We are excited to share it with you as end-of-year inspiration. For us, it certainly was heart-warming to read Emily’s personal story. If you too have experience with the Thinkable products that you wish to share with other (future) users, do not hesitate to contact us! We wish you a wonderful holiday season from us at Thinkable and all the best in 2018! In recent months, we have made major progress again in the development of the Motorised Drawing Arm (MDA). In this newsletter, we are excited to share the latest developments. We also invite you to come and see the device in action at the TifloInnova exhibition on 17-19 November in Madrid (for further details, see below). The first important improvement in the second MDA prototype is the use of a new type of motor that applies pressure to the pen. 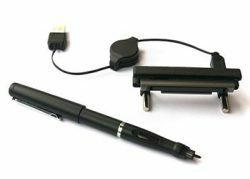 The new setup will ensure that the pen can move over the height of the 8 TactiPad buttons irrespective of their positions. Also, the new motor better accommodates the slight variations in height across the TactiPad. This results in a consistent quality of the tactile lines across the entire drawing surface. Besides connecting the MDA via USB directly to the computer, it can now also be connected wirelessly via Wifi because of the addition of a Raspberry Pi to the system. This way, it can even be operated using your mobile phone or any other mobile device! 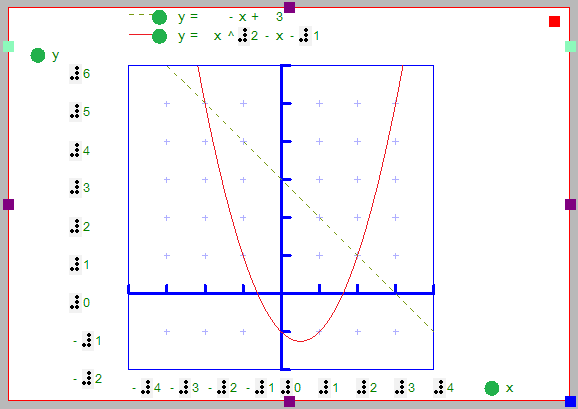 This offers brand new ways for students and teachers to work with educational graphics. 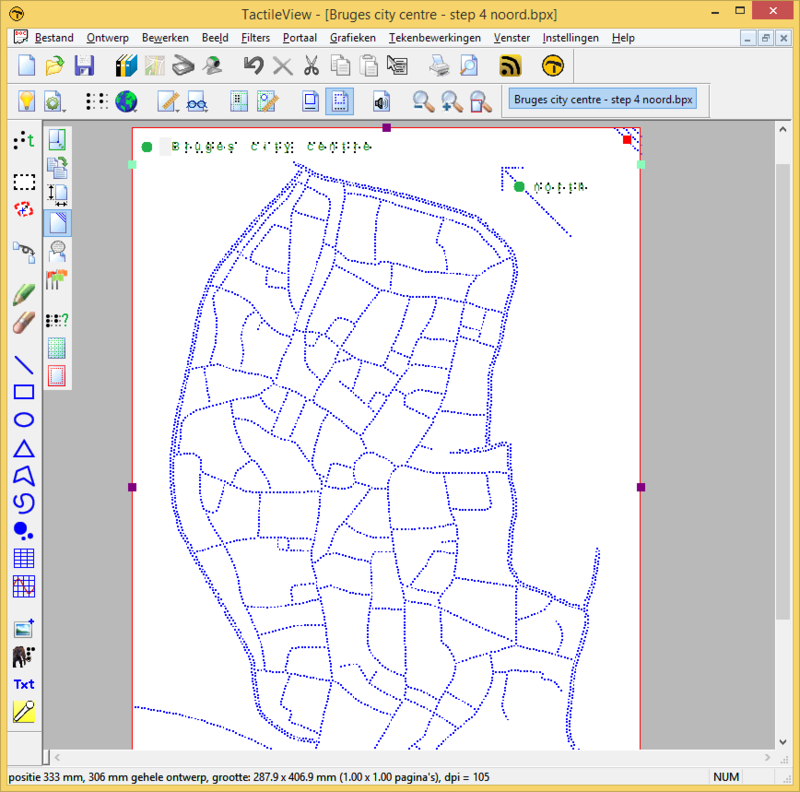 Currently, the TactileView software includes a catalog with thousands of ready-to-use tactile graphics. We plan to set up a similar catalog of images specifically for sketching on the MDA. You can already visit our demo version of the MDA catalog, which includes a first set of designs as an example. 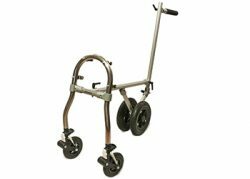 In the future, you can directly drive your MDA from this online catalog from any browser on your pc, mobile phone or tablet. We are very interested to hear which content you would like to produce when you would have an MDA on your desk. When visiting the MDA catalog page, we welcome you to think about which categories or which specific pre-made graphics you would like to find in the catalog. Or even better, send us your ideas or images that you would like to see produced on the MDA! 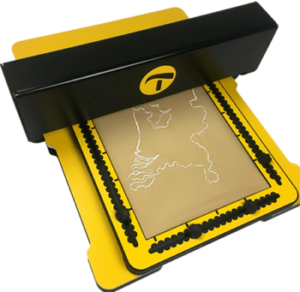 Jaap and Niels from Thinkable will be present at the TifloInnova exhibition, giving a hands-on demonstration of the TactiPad drawing board, TactileView software and of course the new MDA prototype. The exhibition is held from 17-19 November in the ONCE Sports and Cultural Centre in the north of Madrid. Admission is free for all visitors. When you are there, we invite you to pay us a visit in booth 4. For further details, see the TifloInnova website. For us, the last few months have seen a busy schedule of visiting conferences and exhibitions, bringing back a wealth of new ideas and contacts. Luckily, we were able to let all the new inspiration sink in during our summer holidays. 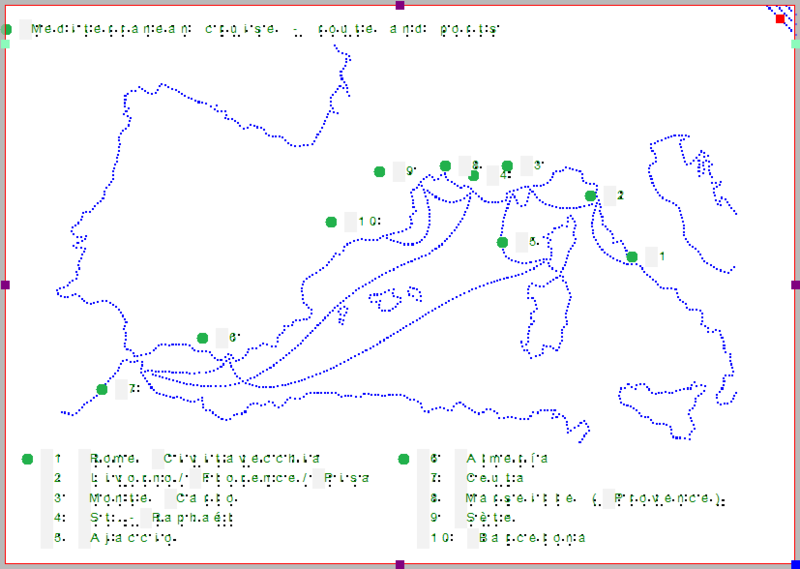 And what better way to prepare a vacation than with a series of useful tactile graphics! By making these images accessible as tactile graphics with TactileView, Jaap was able to have the same fun in anticipation of the trip as the rest of his family. 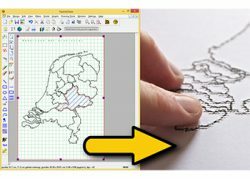 The production of these maps and images is a great example of how the new curved shape drawing tool in the upcoming version of TactileView will provide an effective tool for converting challenging images to tactile graphics. You can find the new tutorial in the online TactileView manual. Of course, numerous useful tactile images could be prepared for such a trip. For example: floor plans, menus and other images related to the cruise ship; street plans and images of the most interesting landmarks in the cities in which the ship will anchor, etc. Therefore we also brought the TactiPad drawing board with us during the trip, so my family members could show me in an instant what was relevant during each stage of the journey. Meet us at the ICEVI conference, held from July 2nd to Friday 7th in Bruges, Belgium. Just outside the beautiful city centre, we will come together with over 200 experts from the fields of education and rehabilitation. The schedule leaves enough free time for an exploration of the city of Bruges. Whether you wish to visit the famous historic sites or simply enjoy a refreshing drink after an engaging conference day, a tactile map may come in very handy. 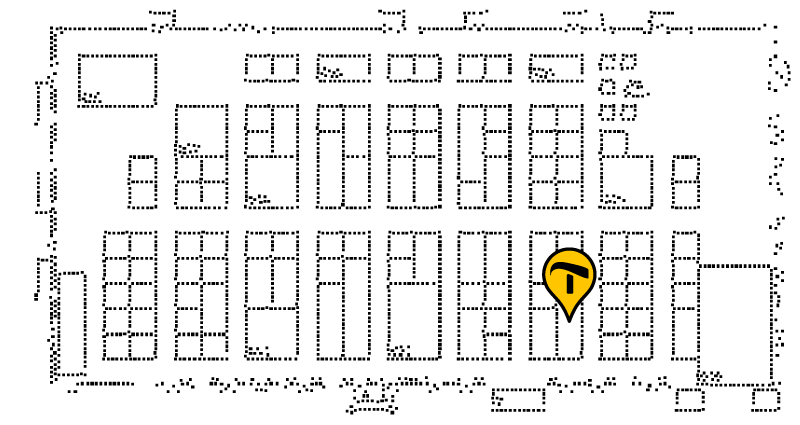 We have prepared an A3 size tactile street map on the Index embosser that you can pick up at our table. At the ICEVI, we will demonstrate numerous solutions for tactile graphics that are particularly suitable for education and rehabilitation: the TactileView software, the TactiPad drawing board, the prototype of the motorised drawing arm (MDA) and a prototype of a braille matrix device. The next opportunity to see our range of Thinkable products is the Sight Village conference in Birmingham, July 18th and 19th. We recently returned from the very inspiring Tactile Reading conference. Over 340 professionals came together in Stockholm to share their ideas about tactile reading and writing. Now, freshly returned from Sweden, we are preparing to meet you at SightCity next week in Frankfurt. From 3 to 5 May you can find us in booth D1, right at the entrance of the main hall. At the exhibition, we will demonstrate the second version of the motorised drawing arm (MDA) and the new math and science tools for the GraphGrid, which were both met with great enthusiasm in Stockholm. 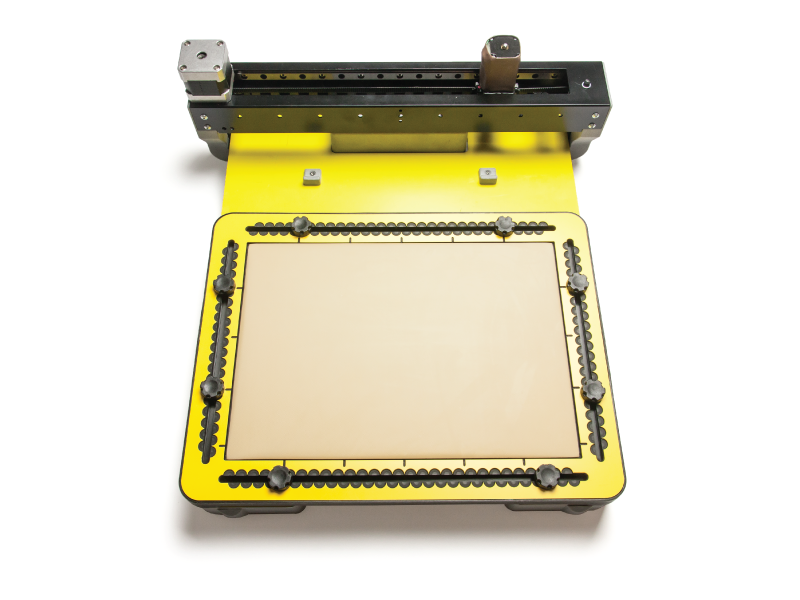 In the video link below, you can already get a view of the impressive speed with which the MDA can produce a TactileView design on the TactiPad drawing board. With the new year in full swing, the first in the list of global assistive technology conferences of 2017 is about to start. Visit the ATIA in Orlando, Florida on January 18-20 to get a hands-on demonstration of the TactiPad drawing board and TactileView tactile graphics software. In booth 800, Irie-AT will be happy to demonstrate the reasons why both TactileView and the TactiPad are met with ever increasing enthusiasm by visually impaired users and professionals alike. Hopefully you can enjoy some of the winter sun in Florida. Meanwhile, we will continue to work hard on putting the finishing touches to TactileView version 2.500 for you to download once you have returned home. To discover the changes and improvements, you can already check the release notes and what’s new page on our website. With the end of the year fast approaching, we hope you can look forward to enjoying the holiday season. For us, the end of the year resembles the curve of a parabola. Things will gradually slow down for a well-earned rest, until midnight on the 31st of December when everyone is holding their breath to welcome 2017. In the new year, everything will be picking up speed once more with renewed enthusiasm. 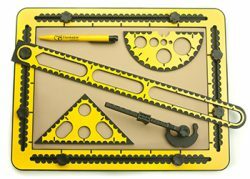 We are pleased to let you know that the GraphGrid accessory set for the TactiPad has been extended with three additional tools. 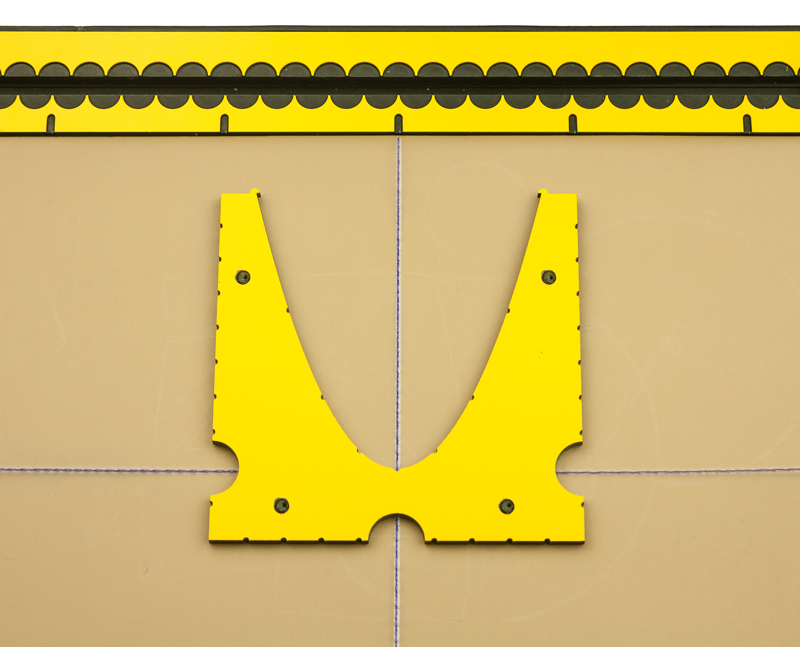 These allow you to draw perfect parabolas, hyperbolas and concave or convex lenses. But more on that later – for now, we want to wish you a merry Christmas and the happiest of New Years!